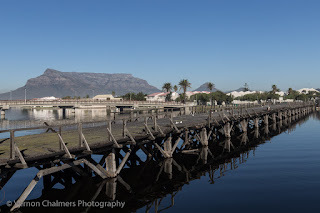 I have been tracking the possible restoration process of the historic wooden bridge, Woodbridge Island Cape Town since December 2016 (with my own before images and local media coverage). 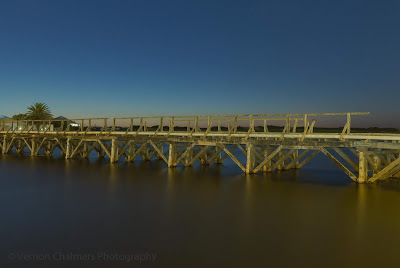 The local media regularly covers the restoration, the costs and the project starting date, but the current high water levels in the Diep river / under the wooden bridge may have impeded the eventual start of the project somewhat. 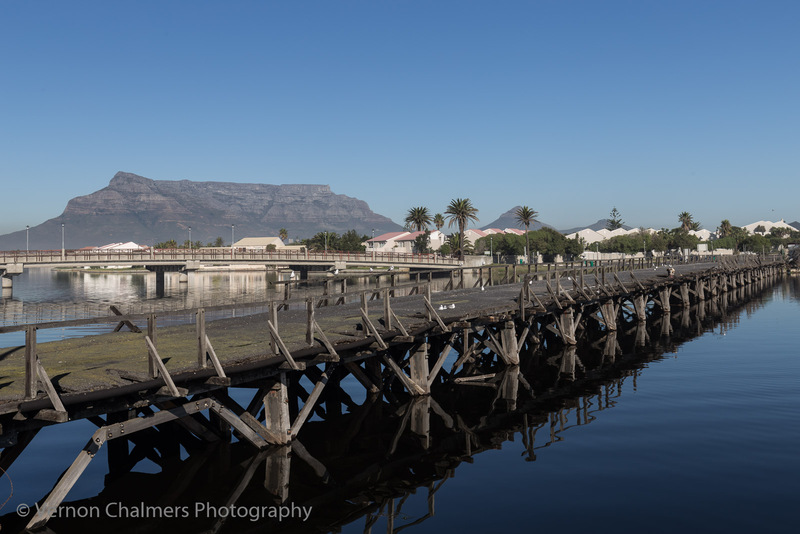 I have noticed various construction containers offloaded and stationed close to the Milnerton Canoe Club on Woodbridge island this morning. Hopefully this is the start of the eagerly awaited restoration process.